Michael Hafftka is an artist of exceptional talent and incorruptible vision. 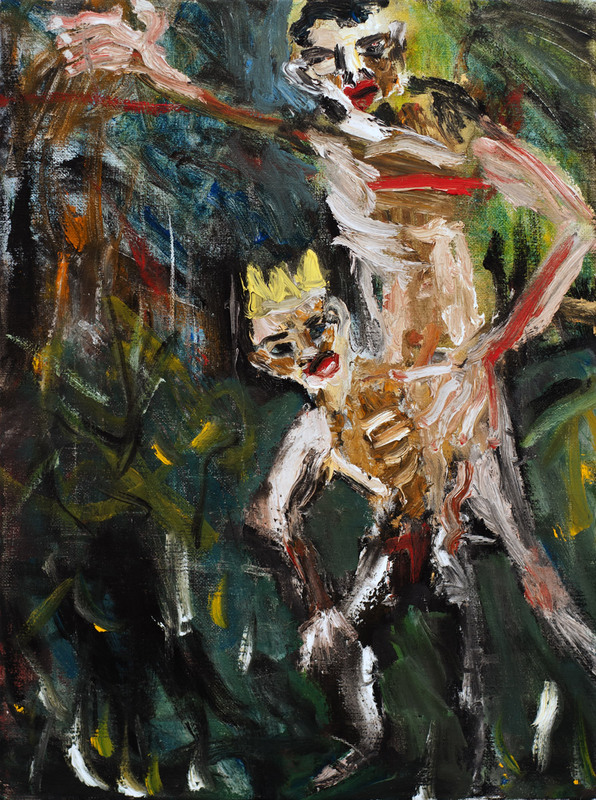 His poignant paintings speak of the frailties and vices inherent in the human condition. With a dramatic use of colour and expressive brush work, his images can be simultaneously breathtaking and confronting. Francis Bacon was one to recognise the uniqueness of Hafftka’s work. 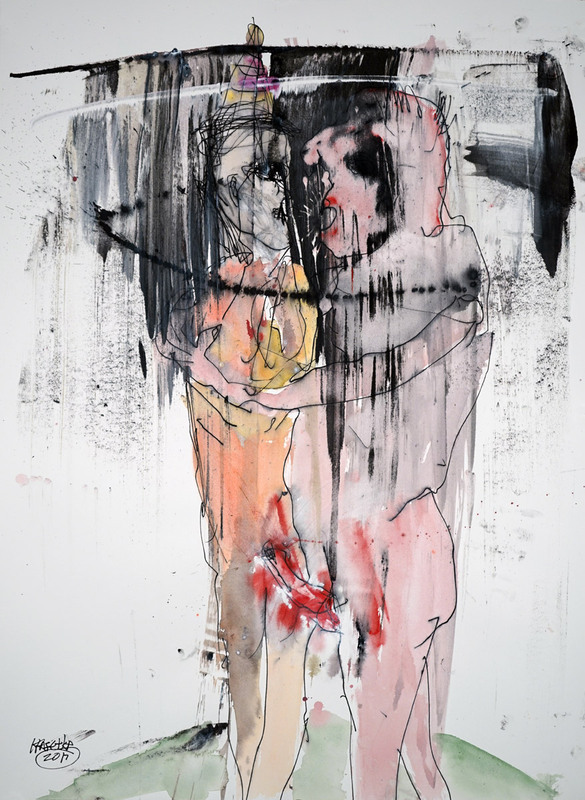 They met while Bacon was in New York for his exhibition opening at Marlborough Gallery. When Hafftka showed the senior artist several reproductions of his paintings, Bacon described them as beautiful and asked to keep the images. 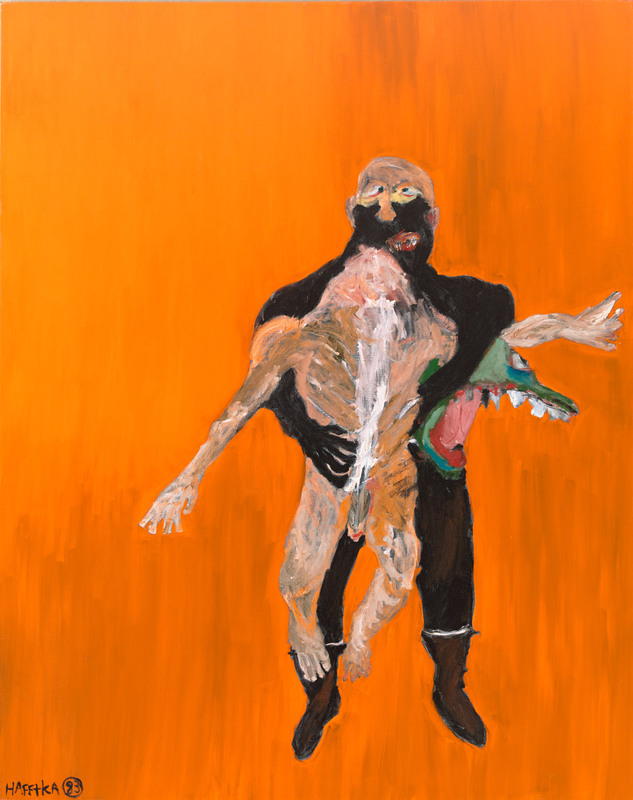 Bacon recognised the unconventional beauty in Hafftka’s work and perhaps to a degree, a slight reflection of himself, for Hafftka had assiduously studied Bacon’s paintings in detail; Hafftka saw Bacon as one of the most important painters of the 20th century. Born in Manhattan in 1953 and raised in the Bronx, Hafftka has been a practicing artist for 45 years. During this time he has ignored the vagaries of the art world; instead, he has resolutely and unfailingly followed his own path. Along the way, Hafftka has met artists, musicians and intellectuals who have helped shaped his practice, but it is perhaps the art historian Meyer Schapiro whose influence on Hafftka determined his approach into the future. 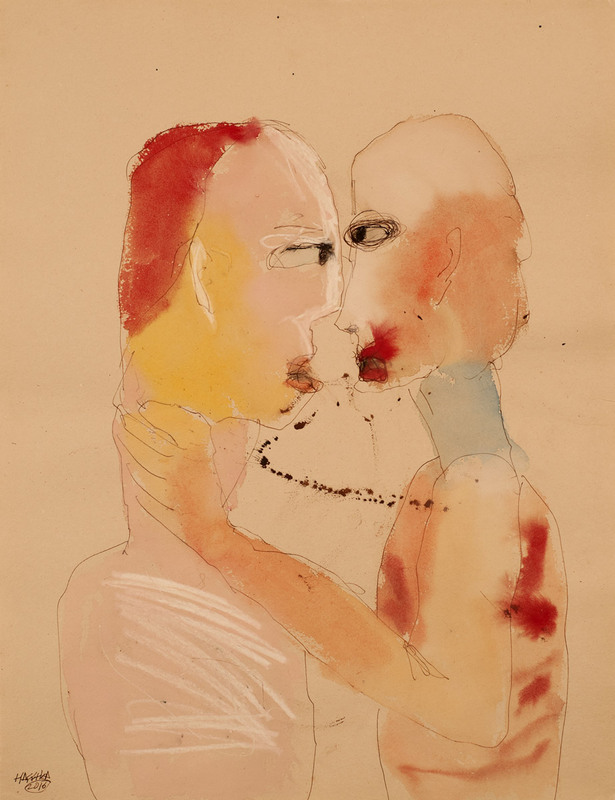 Schapiro’s mentoring of Hafftka in aesthetics lead the young artist to dispense with unnecessary details from his works. The bare backgrounds become like a Brechtian stage where the intense emotions and tensions engulfing his subjects draw the viewer into a state of deep self-reflection; the locus of the emotional experience migrates from the viewed to the viewer. The impetus for Hafftka’s creative drive comes largely from his family’s devastating history, which has had a profound impact on his worldview and thematic approach to his work. His parents, Simon Hafftka and Eva Hershko, were European refugees and Holocaust survivors; from his father’s family, only his father and a cousin survived. 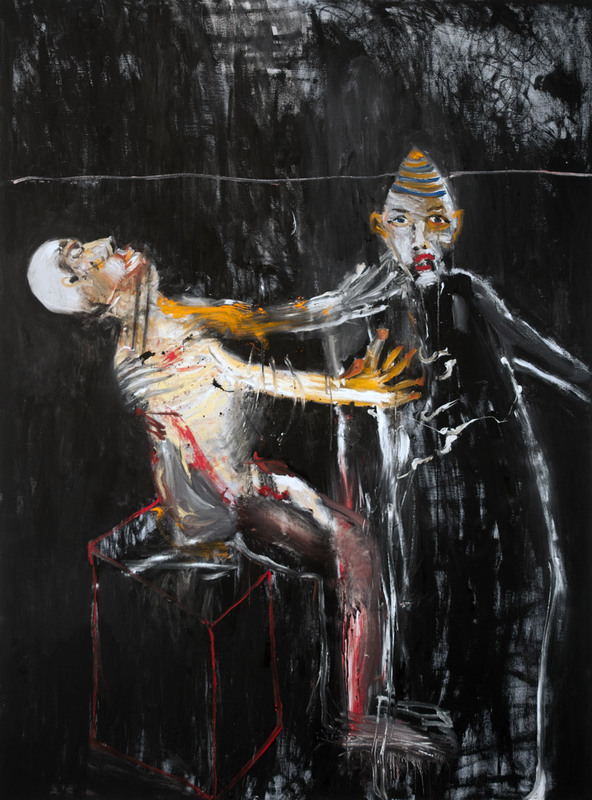 Hafftka’s paintings that deal specifically with the Holocaust are harrowing; the grief expressed in them is searing in its intensity and they leave the viewer wondering how it is possible for the survivors to bear such unimaginable loss. While he does not carry his history as a burden, its shadow does compel him to paint. "When I was a child before the age of 10, I had a recurring nightmare that woke me up in a cold sweat shivering with fear. The nightmare was that I was on a railroad handcar pumping relentlessly, going in all directions simultaneously at the speed of light and at any moment I would be completely obliterated. I never told my parents about the nightmare but every time it happened I was overwhelmed by it. Then one night I decided that I am not going to wake up, I am going to continue on the car and see what happens. The most astonishing thing happened, the experience turned to pleasure. In fact it was so desirable, I tried to recreate the feeling over and over again." On discovering a quote from Joseph Campbell’s Sukhavati: Place of Bliss: A Mythic Journey, Hafftka’s anxieties about painting were brought into sharp relief: the idea was that by switching a metaphorical fall into an unknown future into a voluntary act, hell becomes paradise. Applying that to painting, Hafftka realised that he had to abandon himself completely to the process of painting in order to succeed. This process of risking all then manifests itself in his works through an emotional intensity and technical energy which allow the full force of his vision to come to the fore. Hafftka’s nightmare in youth has become his art’s panacea. 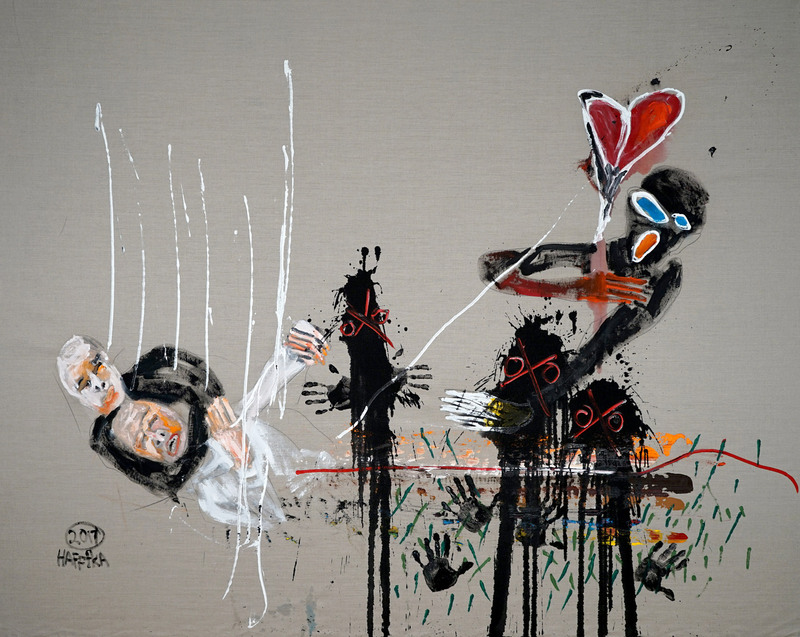 Throughout the decades, a recurring theme in Hafftka’s work is the quest for freedom. 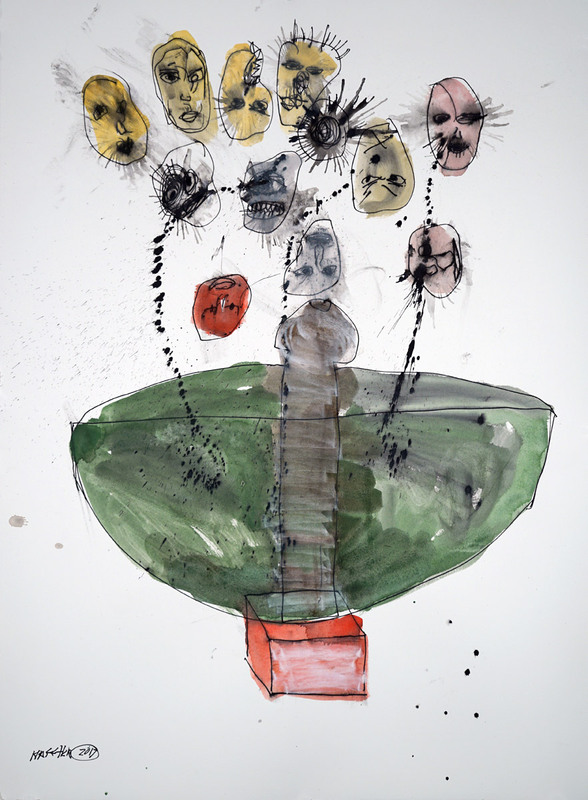 While some works deal directly with his family and war trauma, he has always been a painter of his time; he is constantly responding to the world around him, drawing on sources as diverse as religious texts, current affairs, literature and music. Without fail, Hafftka’s figures reveal his great sensitivity to humanity’s historical and contemporary vulnerabilities. It is this particular quality that gives his paintings tremendous power; we can see our past, present and future selves in them, at the individual and societal levels. Hafftka has an understandable aversion to deceit, greed and the abuse of power, and he spares his paintings' perpetrators no favours. They have the pallor of the eternally damned in a Bosch or Goya work. His compassion for his innocents, however, is evident even if their faces and bodies are racked with pain or fear. Whatever the subject matter, Hafftka’s paintings are internal visions, not literal representations of an event or idea. His paintings are the sum of his memories, intellectual ruminations, daily observations and dreams that materialise as a vision, which he is then compelled to paint. He is a painter who has continuously and courageously stood by his convictions and who, despite his family’s experience, seeks the good in people. But precisely because of those experiences, Hafftka is well aware that good can quickly become sinister if we let our guard down. 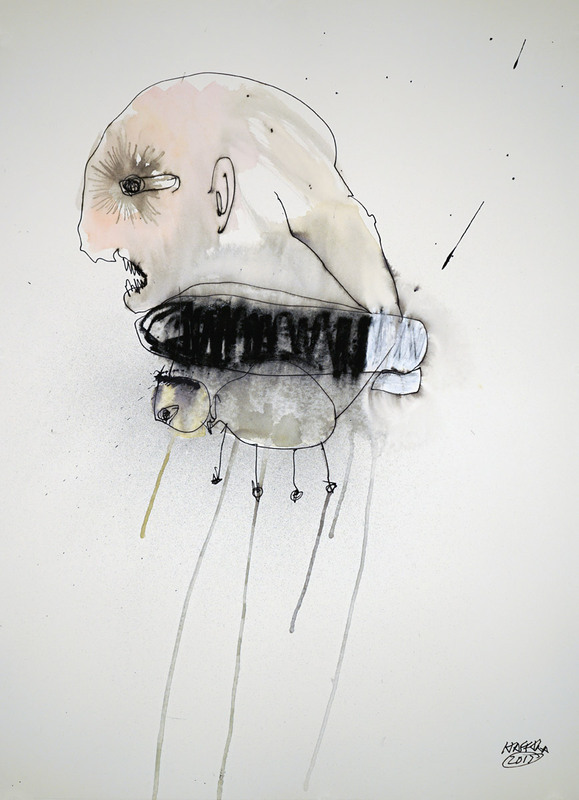 As the world witnesses a serious increase in support for far-right politics combined with heightening socio-economic, racial and religious tensions, Hafftka’s works provide us with a prescient insight into the chilling effects of unchecked power, greed and coercion which are, as he says, “enabled by the many”. Hafftka speaks directly and emphatically to our times. The question remains, how will we respond? Hafftka’s works are held in many important museums in America including the Museum of Modern Art, The Metropolitan Museum of Art, Brooklyn Museum, National Gallery of Art, Carnegie Museum of Art, San Francisco Museum of Modern Art. Watercolour, crayon and ink on paper, 30" x 22" / 76 x 56 cm. Oil on linen, 78" x 58" / 198 x 147 cm. Oil on linen, 78" X 200" / 198 x 508 cm. 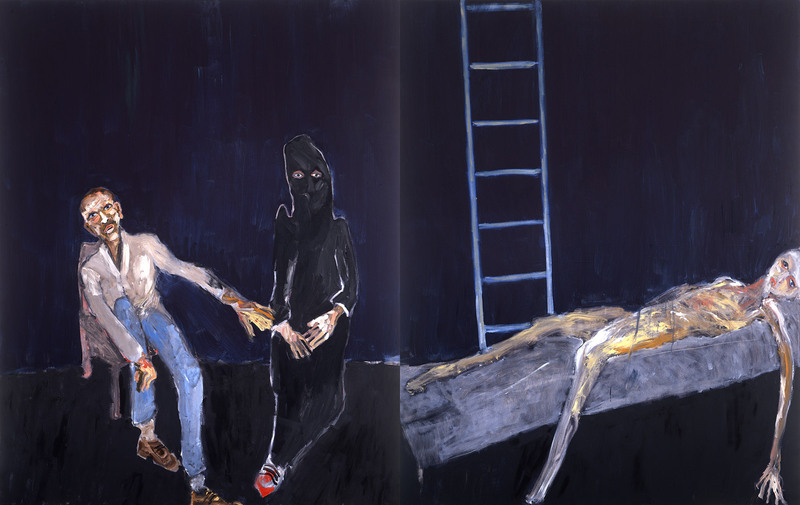 Oil on linen, 78"x124" / 198 x 315 cm. Acrylic on linen, 85" x 108" / 216 x 274 cm. Watercolour on handmade paper, 26" x 20" / 66 x 51 cm. Oil on linen, 78" x 62" / 198 x 157.5 cm. Oil on linen, 16"x12" / 40.5 x 30.5 cm. Copyright 2018 Galerie Zadra All rights reserved.